The hardest part is over. You asked out your crush, your crush said yes. Keep the momentum going in a first-date look that exudes casual confidence. 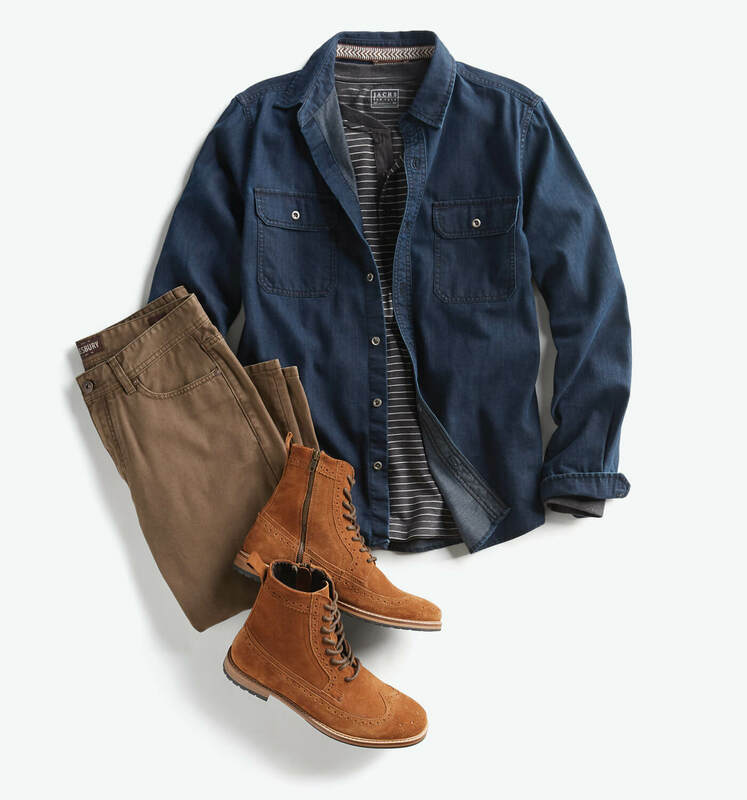 If you’ve got a laid-back style, the easiest way to take that look to date night is to step it up. More buttoned-up in your day-to-day? Keep your look polished with dressed-down options in tailored cuts. Here’s how to dress for a casual date. A casual date calls for denim. If you told your date casual, they will most likely be in jeans or a casual dress, so it’s important you stick to the dress code (translation: do not wear a suit). Instead of your relaxed fit or light-wash weekend denim, opt for a dark-wash straight-leg jean. 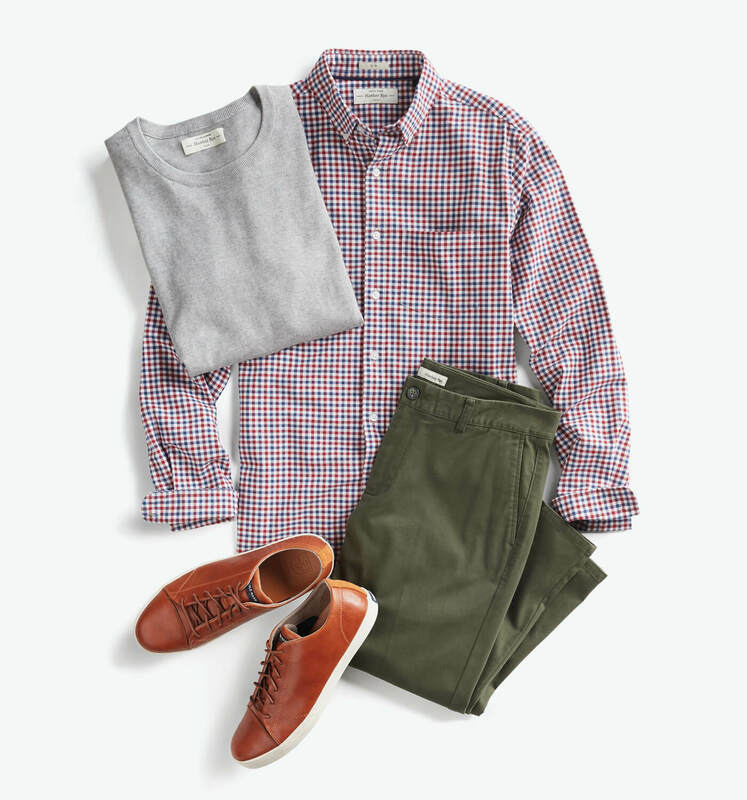 It’s universally flattering and will work with a variety of shirts—plus, the darker wash will lengthen your legs, making you appear taller. Be sure to add a leather belt to your jeans if your shirt will be tucked. 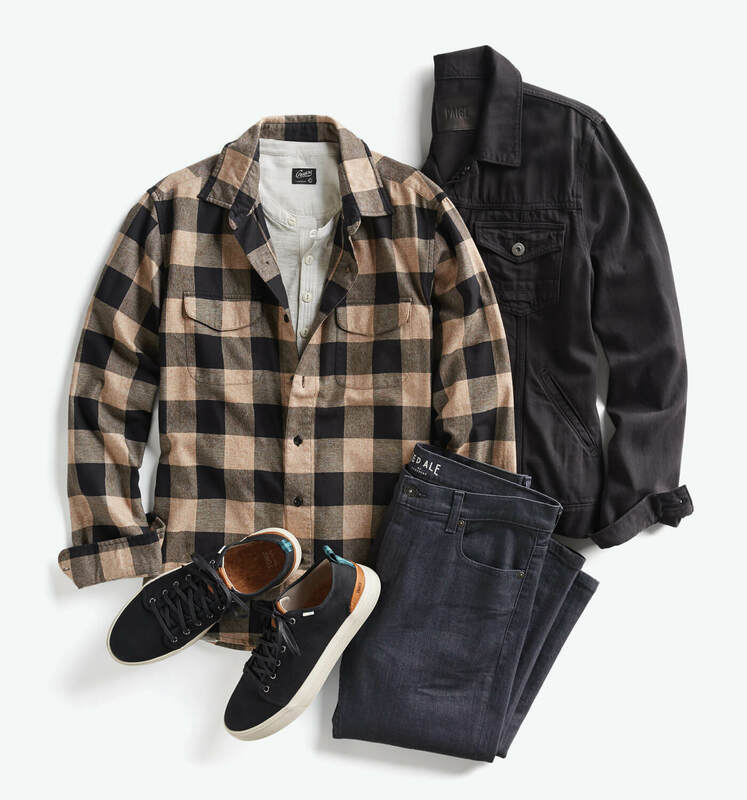 Use the cooler fall weather to add depth to your date night look with a layering piece. A sporty but elevated bomber jacket, a casual ¼ zip sweater or a classic sport coat gives you a polished, dimensional look without too much fuss. A collared shirt is almost always a must for a first date. Unless the two of you are off on a serious sporting adventure, wear a button-up shirt or polo. For a cozy dinner, choose a button-up shirt in a classic print, like windowpane or gingham. Headed to an outdoor concert or a leisurely dinner al fresco? Try a conversational print with a touch of seasonality. When in doubt, a dressier shoe is the best option. While oxfords are best saved for suits and suit separates, a Chelsea boot or a derby shoe, for example, will work with dark-wash denim or chinos (if you insist). A canvas sneaker is acceptable for a more laid-back date, but don’t pull out your old, tattered sneakers. A clean, like-new shoe shows you care and took time to prepare for the date. Keep your jewelry to a minimum on first dates; stick to a classic watch or cuff. Simple is better when it comes to first impressions. Their focus should be on you, not your necklace or class ring. Be prompt. Picking them up at 7? Be there at 7. If you’re meeting somewhere, get there 5 minutes early so she will see you when she arrives. Have questions ready. This shows you’re interested in getting to know them. Don’t ask them all at once. Let the conversation evolve. Put your cell phone away. Keep it out of sight to eliminate the temptation to check it. If you must have your cell phone out, set it face down on the table. Have a plan. Don’t pick them up and say “what should we do?” Choose your destination beforehand—then have a couple options ready for later in the evening if all is going well (like after-dinner drinks at a jazz bar or ice cream and a walk). Above all, be yourself! Nothing is sharper than a man who’s comfortable in his own skin. Schedule a Fix for new first date duds.